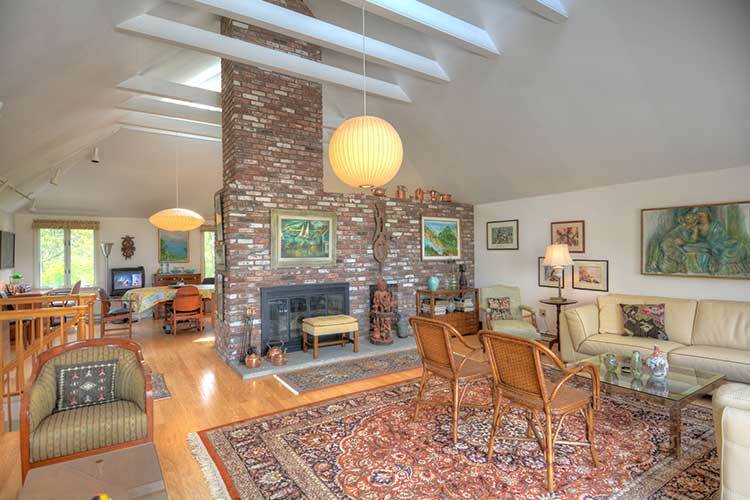 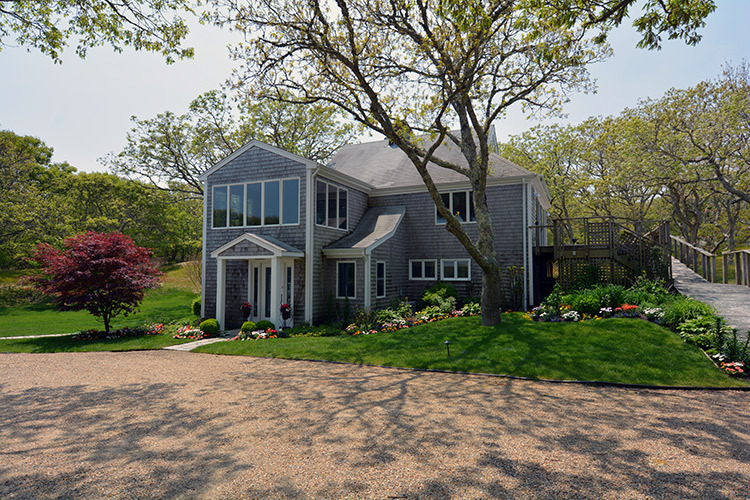 Offered for the first time in nearly 50 years, this 4 bedroom, 4 bath, contemporary home is sited on four acres at 22 Lighthouse Road. 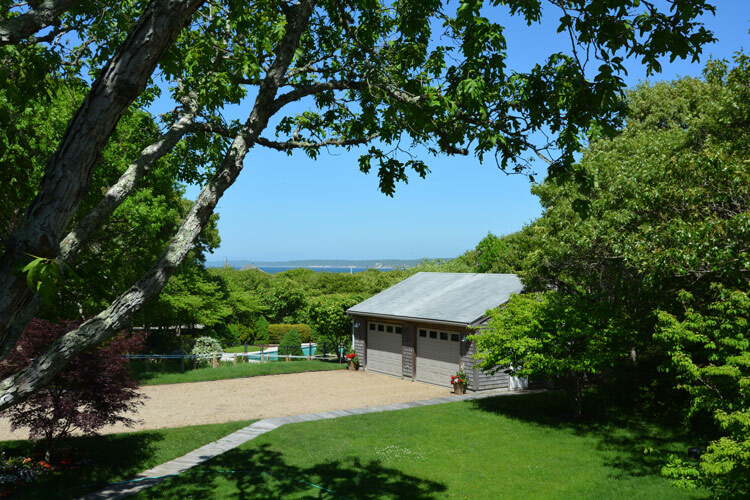 Spanning over 2,300 square feet on two levels, this home provides views across Vineyard Sound to the Elizabeth Islands, Menemsha Bight and Chilmark’s north shore. 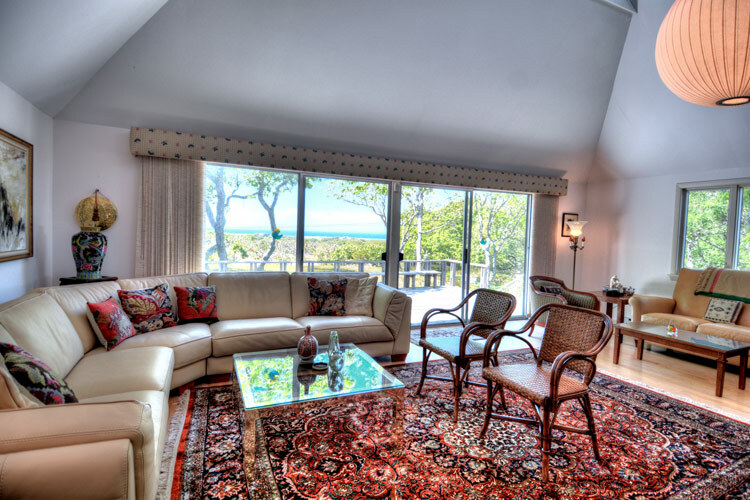 Entertain friends and guests in the spacious living room with sky lit, cathedral ceilings, fireplace and wide water views. 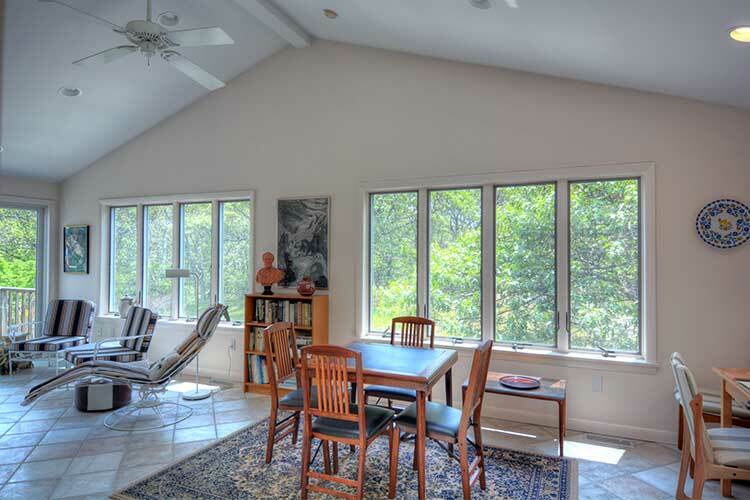 An open kitchen and dining area lead to a sunlit porch where one can also enjoy the views to the Sound and the property’s inground, heated swimming pool. 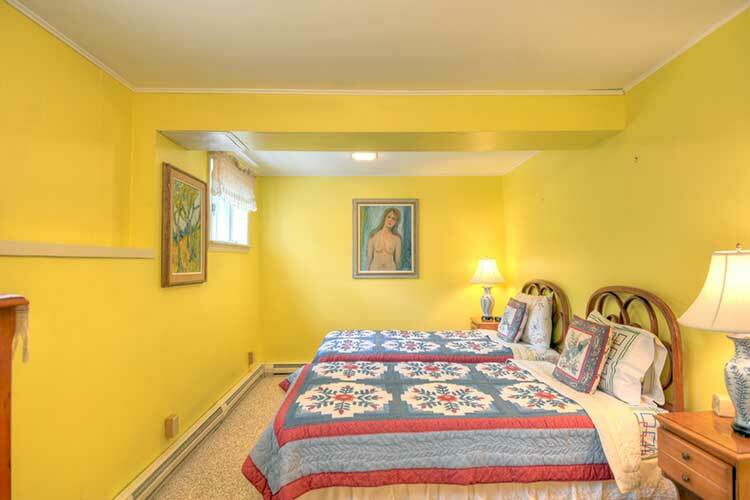 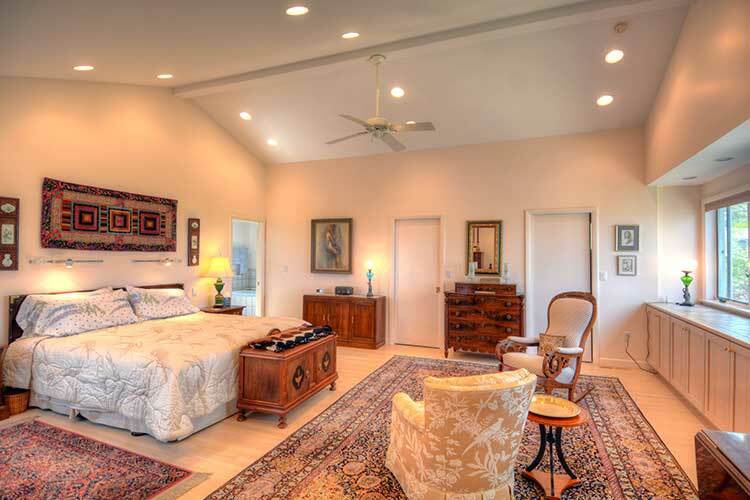 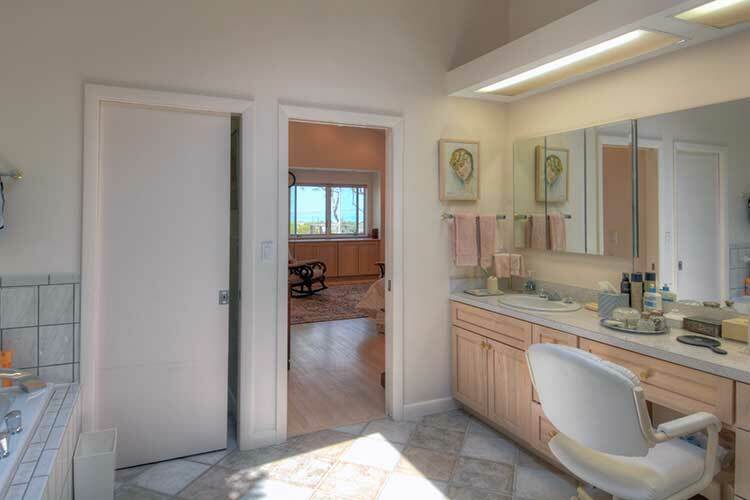 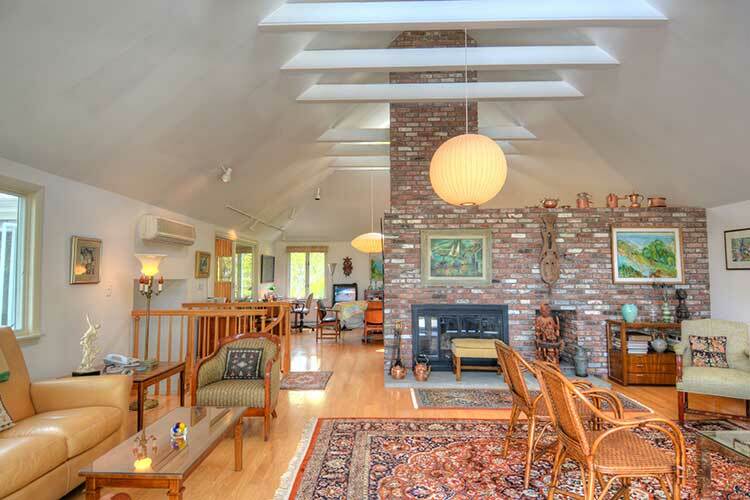 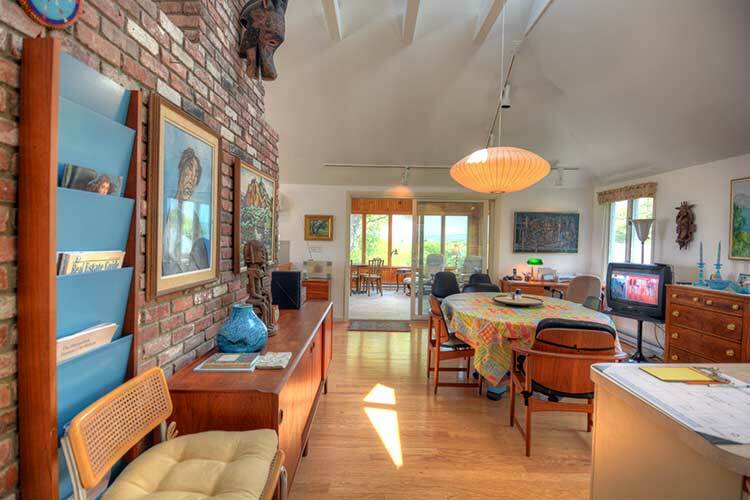 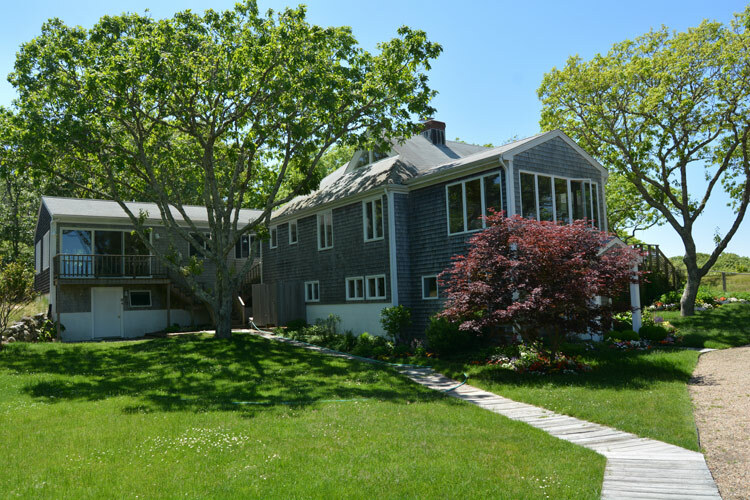 The upper floor of this home is complete with a grand master bedroom overlooking the Sound with a large ensuite whirlpool bath, multiple closets, spaces for an au-pair and a large family room with kitchenette and laundry. 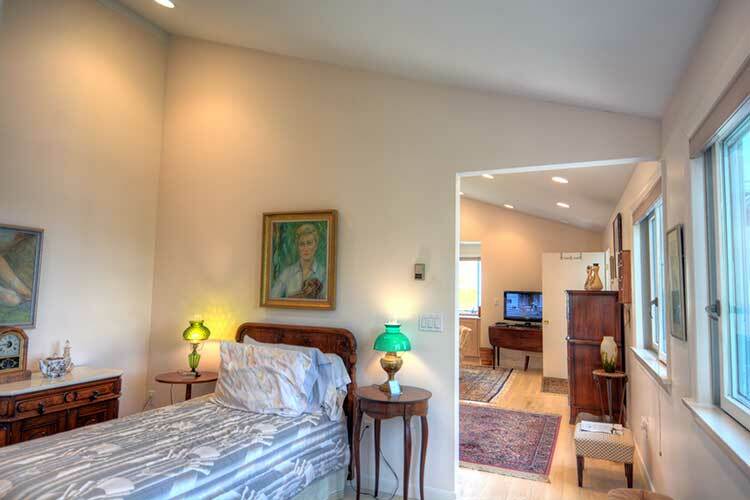 The lower floor of this home provides three additional bedrooms and bathrooms, an office, a workshop and guest quarters. 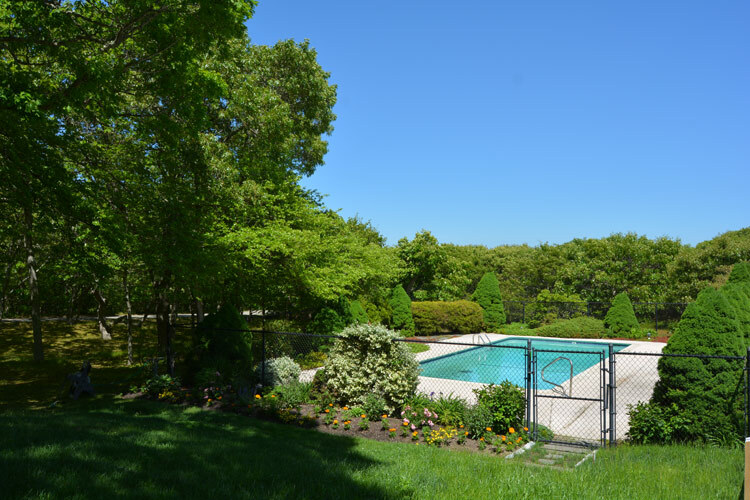 In addition to the pool, there are multiple decks and outdoor spaces to enjoy. 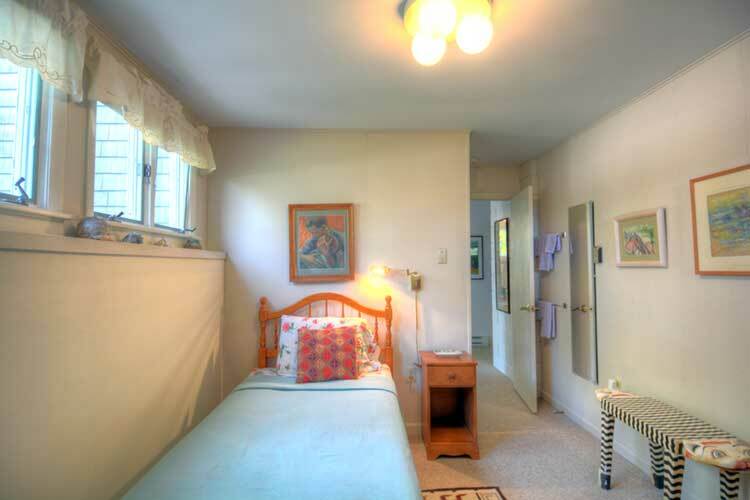 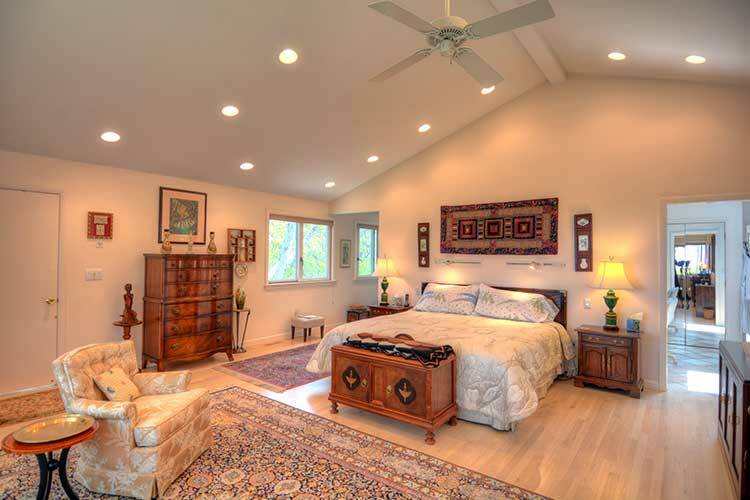 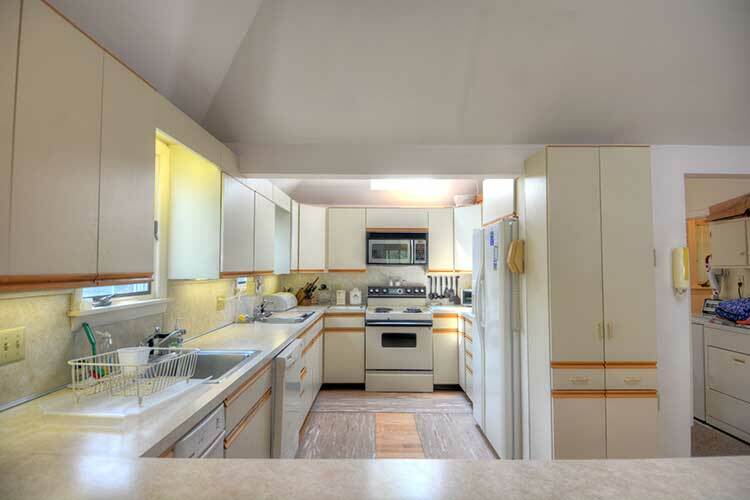 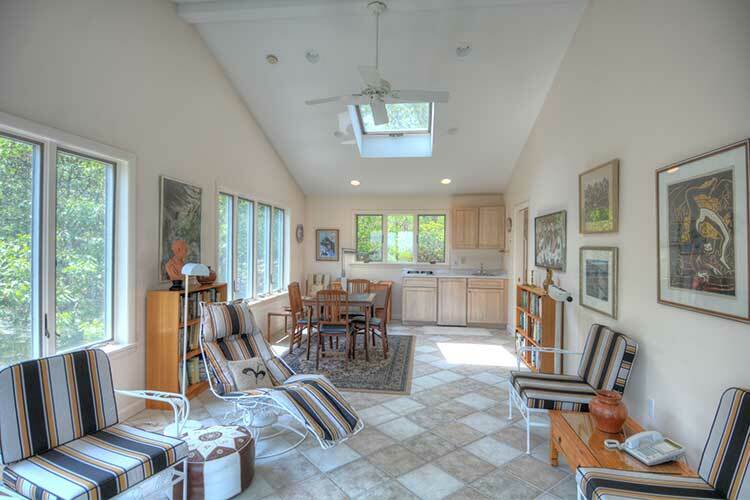 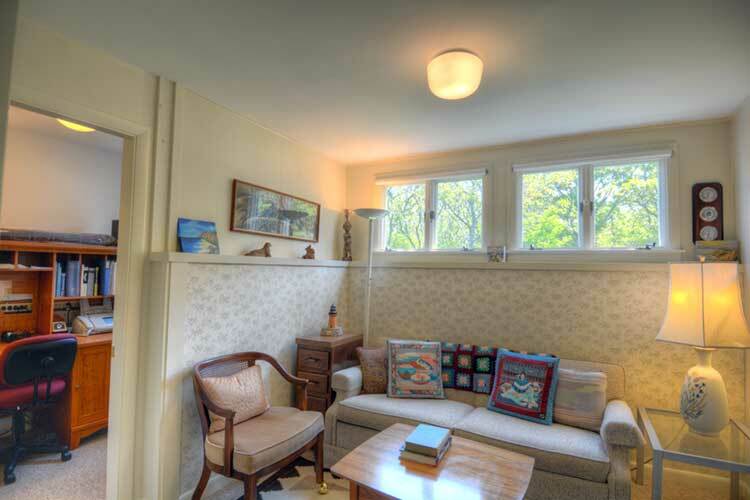 Additional amenities include hardwood flooring, a house generator, outdoor shower, air conditioning and two car garage. 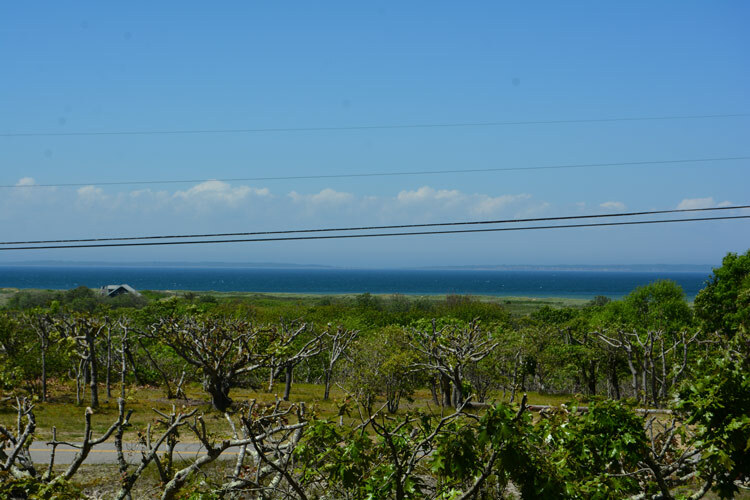 Water views are protected with ownership of 1.8 acres across Lighthouse Road that may also be able to be developed with permitting. 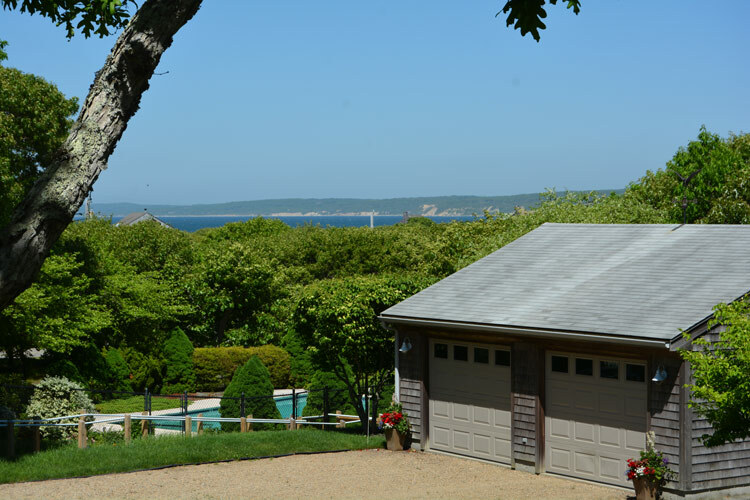 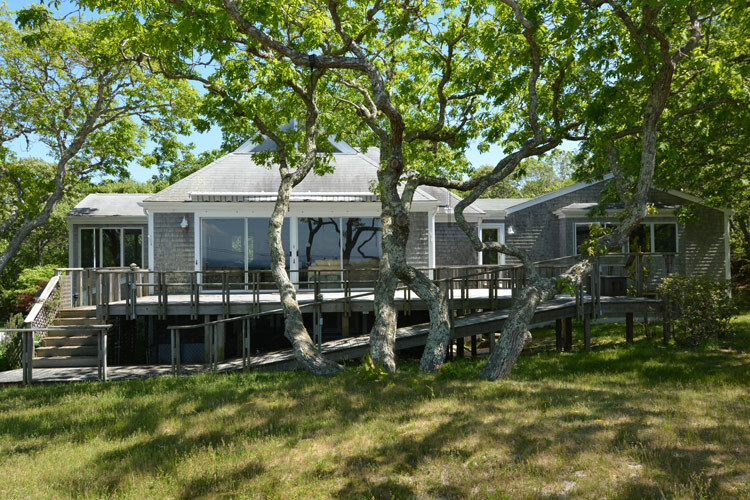 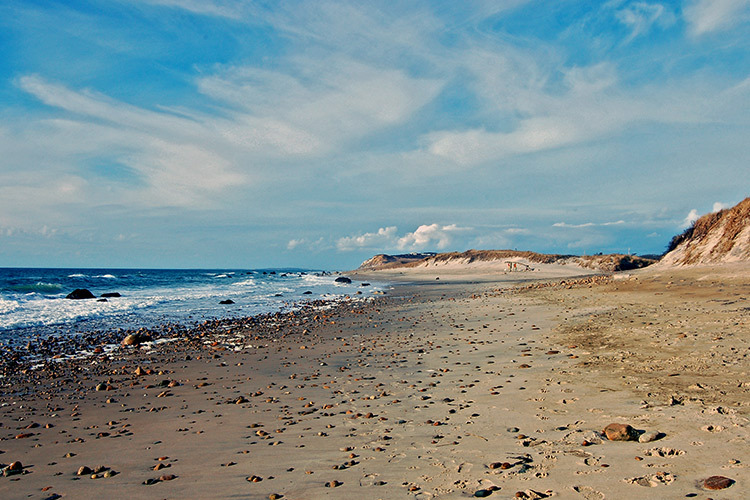 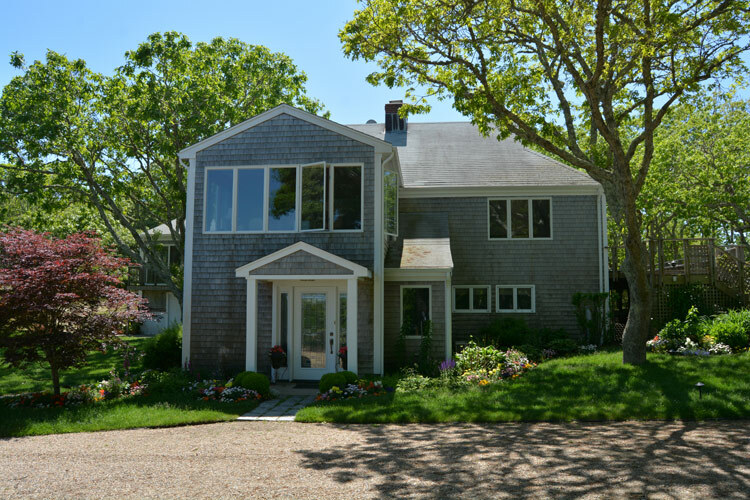 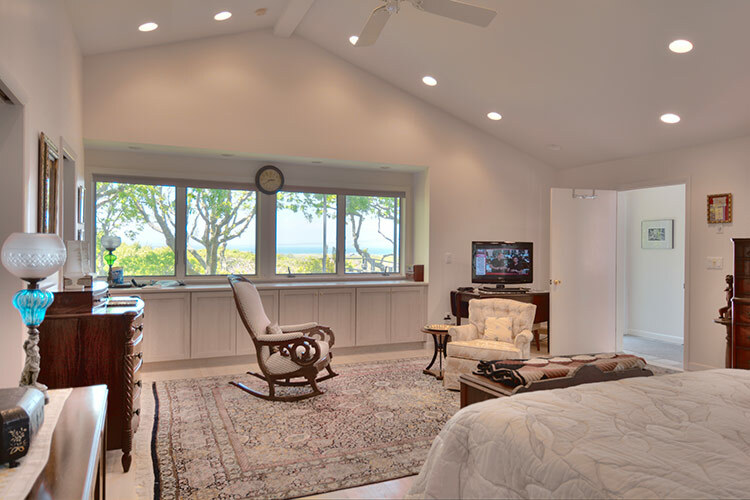 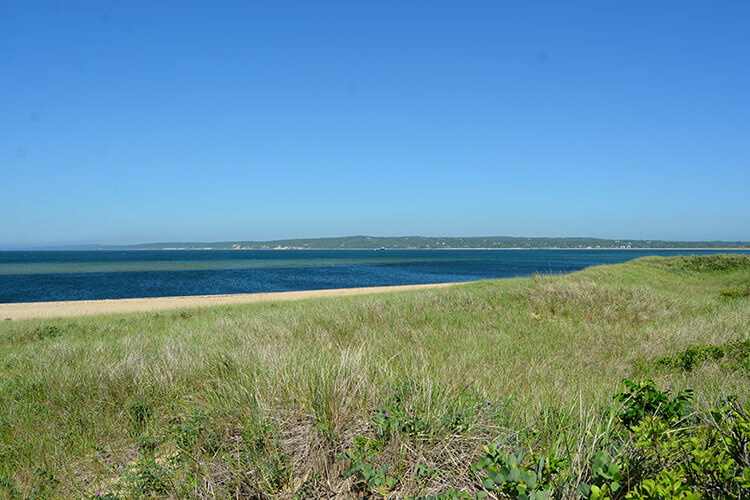 Summer fun can be found at two included private, association beaches, South Shore Beach, located off Moshup Trail, an Atlantic Ocean beach, and Vineyard Sound Beach, located off Oxcart Road. 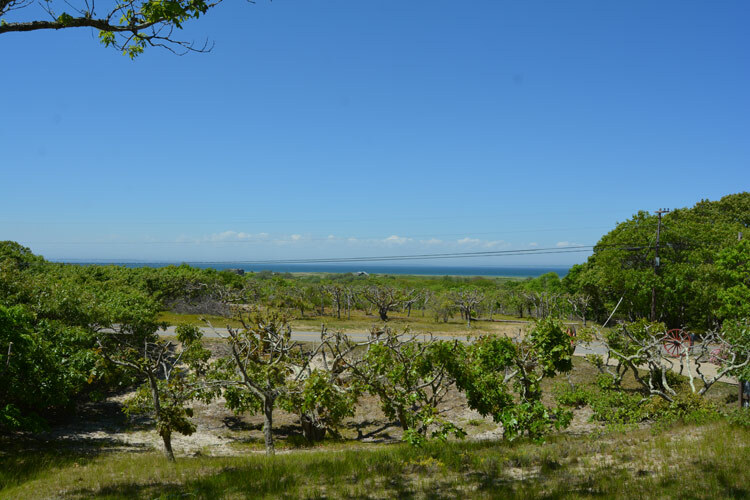 Adjoining 13.7 acre parcel available seperately...see 5-106 Lighthouse Road. 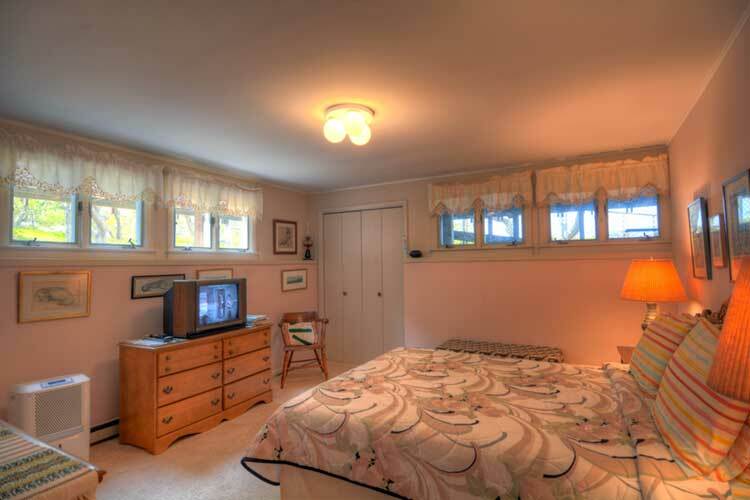 This property has sold.